New American CEO/Dictator Donald Trump, has been busy making his cabinet picks and guess what folks…surprise, surprise he’s going back on his promises already. During his campaign he promised to drain the swamp of corrupt influences. So who does he appoint to his cabinet? 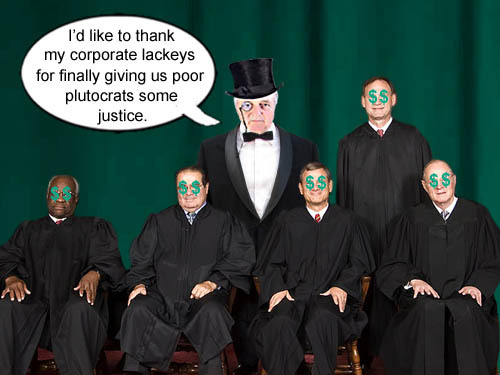 – His fellow plutocrats and fat cats who collectively have wealth over 14 billion dollars. He’s not draining the swamp, he’s restocking it. Some of the more high profile selections are Exxon-Mobil CEO and Vladimir Putin pal Rex Tillerson($500 million in assets), former Goldman Sachs partner Steve Mnuchin($655 million), Wall Street insider Wilbur Ross($2.5 billion), charter school activist Betsy DeVos($5 billion) and former Wrestling tycoon Linda McMahon($1.2 billon). These people, like Trump, are only interested in money and making money at the expense of everything else. In other words, they only speak the language of money. 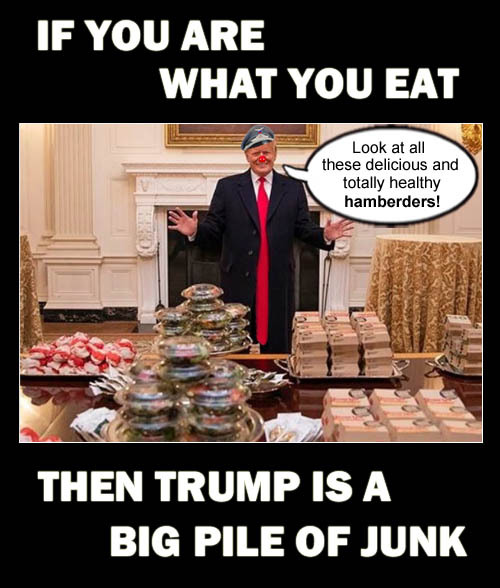 And if you take a look at some of their pictures online, you always see them hanging out at fancy soirees, elite dinners, plutocrat love fests at exclusive country clubs and other events meant only for the 1% percenters. So unfortunately for red state Republicans who voted for Trump… these guys aren’t men or women of the people. They’re not going to have a beer with them. As a matter of fact, they wouldn’t be caught dead with them. But they’ll sure take their money. 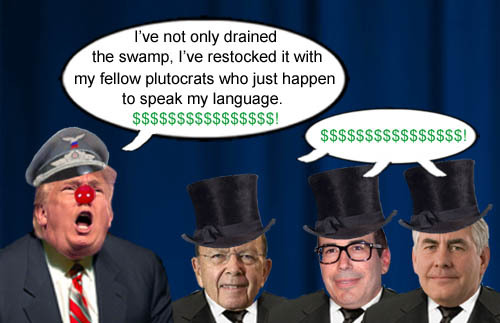 American CEO/Dictator Donald Trump drained the swamp and restocked it with his millionaire and billionaire plutocrat pals who speak the language of money, like Wilbur Ross, Steve Mnuchin and Rex Tillerson.